Dolpa gets Rs 200 million for its link to national road: PM Oli - Integration Through Media ....! TIRPURAKOT: Prime Minister KP Sharma Oli has said for the development of Dolpa, its connection to the national roadway was imperative. 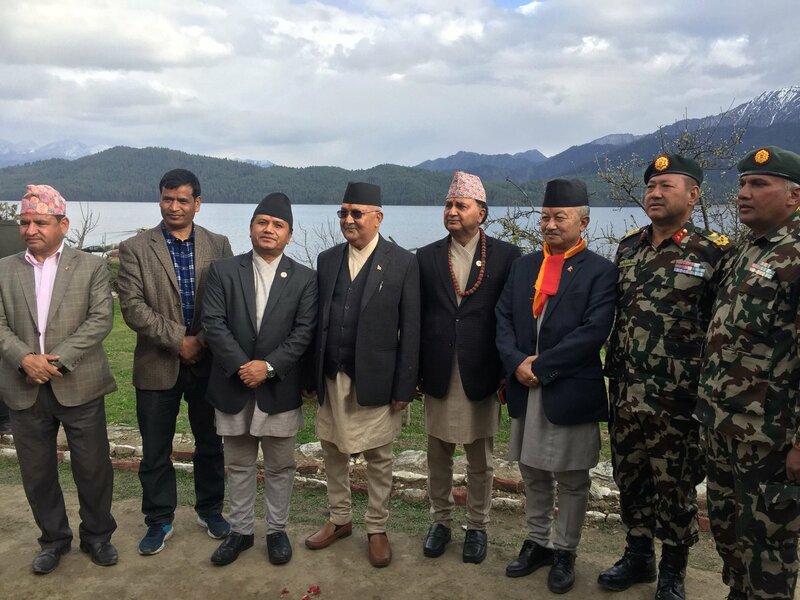 PM Oli, who arrived here Friday to inaugurate the Karnali Rara Tourism Year, said Dolpa district would be provided Rs 2000 million in the current fiscal year to get connected to the national highway. According to him, processing high value medicinal herbs as panch aule, and modernized horticulture could elevate the life of Dolpa people. The government was planning to shift the unsafe settlements to a safe place, raising integrated settlements, he said, adding that each local level would have helipad, so that people in need of serious health risk would be airlifted for treatment in better places. He also informed the local levels that government would provide free education to the children from poor families, so they could make recommendation accordingly. On the occasion, Minister of State for Culture, Tourism and Civil Aviation, Dhan Bahadur Budha, stressed on allocating budget from central government to the development of the Karnali province. He opined for incorporate the Dolpa road section in the national pride project. Minister of State Budha arrived in the home district for the management of the Prime Minister’s visit in the district. Locals welcomed PM Oli at Tripurasundari Bhagwati Temple when he reached there for worship.